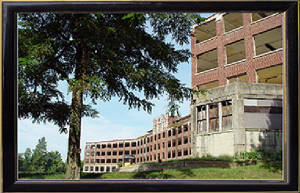 Waverly Hills started as a tudor style two-story hospital building constructed in 1908 and opened in 1911. The building was designed to safely hold only 40 to 50 tuberculosis patients. Eventually the hospital became overcrowded and a larger one was built. This sanitarium was opened in October 1926 and could hold approximately 400 patients. Story has that a murder took place in room 502. Another story tells of how a nurse hung herself. 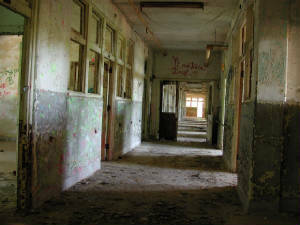 It is said that a little girl is heard playing with a ball on the 3rd floor. This is definately one of the most creepiest, if not most haunted places in America.